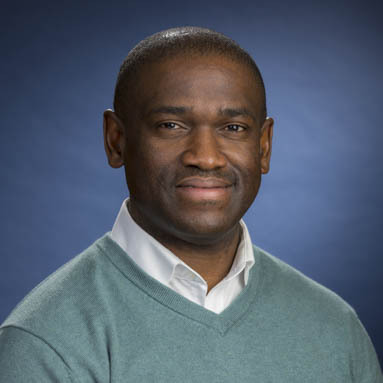 Emmanuel Agu is currently an associate professor in the computer science department at WPI having received his Masters and PhD in electrical and computer engineering at the University of Massachusetts at Amherst. His research interests are in the areas of computer graphics, mobile computing, and wireless networks. He is especially interested in research into how to use a smartphone as a platform to deliver better healthcare. In collaboration with researchers at WPI and at UMass Medical School, he is currently working on NIH-funded research project to create a mobile application for chronic wound care management for patients with lower extremity and pressure ulcers. He is also working on a DARPA research project to use smartphone data and machine/deep learning to sense Traumatic Brain Injury (TBI) and infectious diseases early. He is also working on using machine learning and deep learning to sense when smartphone users are too drunk to drive in order to alert them. His research has been funded by the NSF, NIH, DARPA, the US department of education, US Army Research Labs, Google, Nvidia and AMD. His research has been published in various ACM and IEEE conferences. Channel 3 aired a story about DARPA funded work by computer science professors Emmanuel Agu and Elke Rundensteiner to develop a smartphone app to help assess the health of soldiers. The Worcester Business Journal reported on work by computer science professors Emmanuel Agu and Elke Rundensteiner to develop a smartphone app to help assess the health of soldiers.